Tokunation › Power Rangers › NYCC ’16 Legacy Black & Gold Titanus Revealed! NYCC ’16 Legacy Black & Gold Titanus Revealed! Thanks to friend of the community and all around awesome guy @dekablue25 we have our first reveal of this years’ New York Comic Con! And it’s none other than Legacy Black & Gold Titanus! 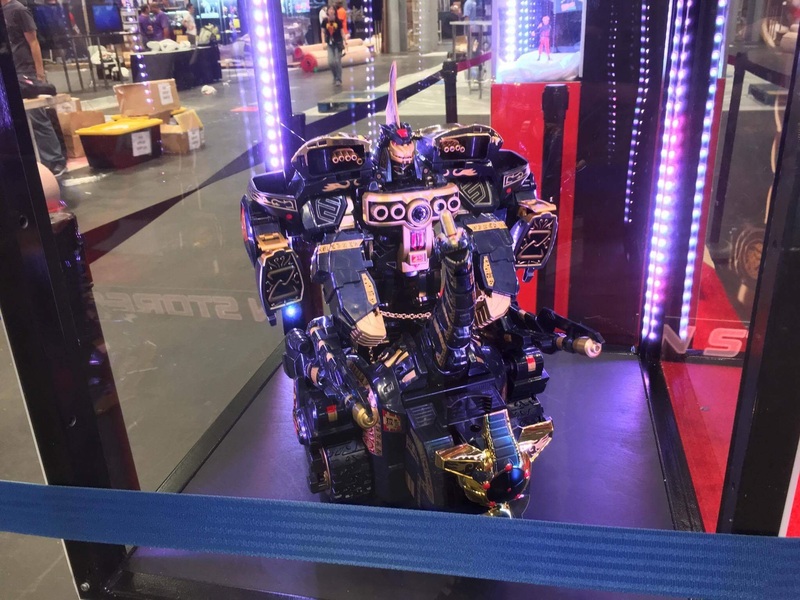 Seen at the Bandai booth (#1628) display, Legacy Titanus is shown fully combined with the Black & Gold Dragonzord & Megazord to form the Ultrazord! Thanks to @dekablue25 on twitter! Wow. Looks phenomenal. I'm happy with my standard version. In all seriousness I need him 'cause I missed the original release. No just no! Bandai you're gonna break me. I already have to get the Legacy Ninja Megazord and the Soul of Chogokin Daizyujin. I know. I am going to have a heart attack. I am hoping it is not over $100. That looks really cool in black and gold. That's going to be really expensive. That thing looks pretty slick. I never picked up the Dragonzord, but I might just go ahead and do that now. I still don't like the dull gold on the Megazord, but the Ultrazord formation kind of washes it out with that really nice deep bronze-y gold. Just take it in for a moment guys; a full-on Black/Gold Dark Ultrazord. Can't wait to get my Gold Ranger Ultrazord.